Our main goal here at HIDKITWAREHOUSE is to provide exceptional customer service and support. 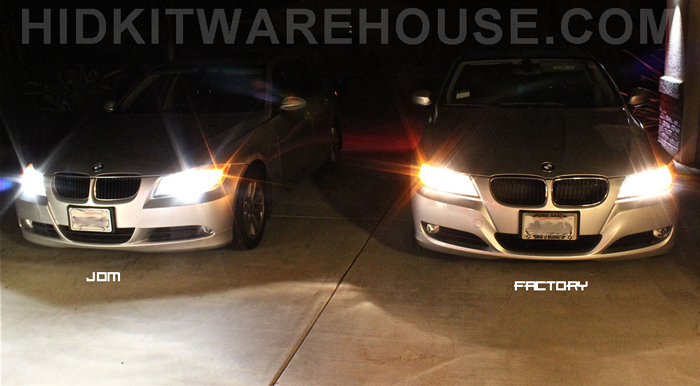 We understand automotive lighting like no other company and have been doing this for over 10 years. HID Background It started nearly 15 years ago when the only vehicles with the xenon option were high end European vehicles such as BMW and Mercedes. Since then, the technology has been improved and perfected; as well as the value. The first kits developed for regular vehicles cost as much as $1000. Today we provide similar kits for as low as $39.99. HID lights also known as Xenon (the gas inside) are similar to fluorescent lights. The gas inside is ignited by high voltage produced by what is called a ballast. This ballast converts 12V DC current into high voltage applied across a small gas tube. They offers improved lighting. As much as 70% is possible depending on color. 4300K-6000K color range offers the highest brightness. Longer life compared to halogen filament lamps Less voltage – usually consuming 35-55 Watts – same or less than equivalent halogen bulb. Example, a 9006 light bulb usually consumes 55W.